For its highly efficient use of energy this shredder was awarded with the “Blue Angel”. 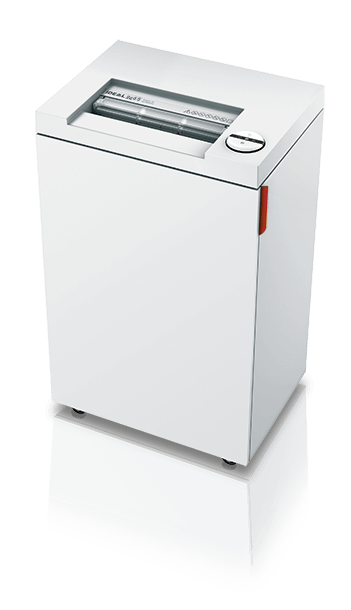 It is the energy saving function, “Zero Energy Consumption”, of these shredders that ensures automatic and complete power cut-off after 30 minutes in stand-by mode and thus zero energy consumption after 30 minutes in stand-by-mode. Efficient drive systems ensure high sheet capacity, and quietly running motors mean low operational sound levels. Krug & Priester sets a good example by being responsible in our handling of resources, and in our environmentally compatible production. Dangerous and harmful substances are absolutely taboo. In fact, all our products are manufactured to be environmentally compatible, and this is confirmed by the implementation of our Environment Management System according to DIN EN ISO 14001:2009.